Walk MS 2016 – it's only a bruise. Hello everyone and happy March 1st! 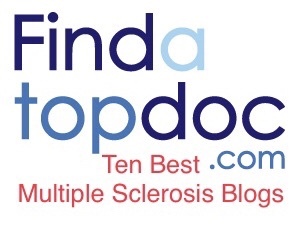 March is Multiple Sclerosis Awareness Month and I’m kicking it off with the launch of my Walk MS fundraising campaign. This cause is, of course, very close to my heart (and neurons!) and it would mean so much to me if you might consider donating and helping me reach (and surpass!) my goal. Every dollar truly makes an impact toward research and treatment options for those living with multiple sclerosis. Here is my personal Walk MS page and here is the link to take you directly to my donations page. Be sure to find out if your employer matches charitable donations–I believe there’s a prompt and a very easy and quick tool to do so built right into the donation process. If you are unable to help monetarily and still would like to contribute to my fundraising goal, please share my page (http://main.nationalmssociety.org/goto/stappas) with your friends and family. I’m so excited to participate in this amazing event for my third year in a row and am so thankful that I’m physically able to walk for those who cannot. Every single dollar, every single step makes a difference.